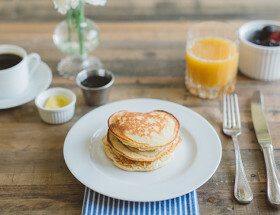 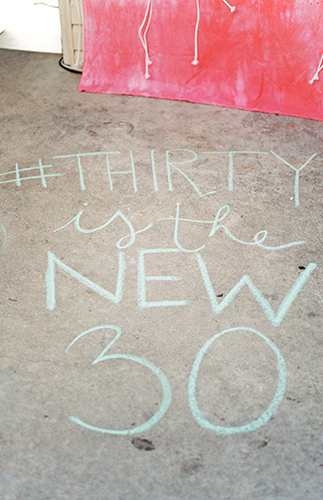 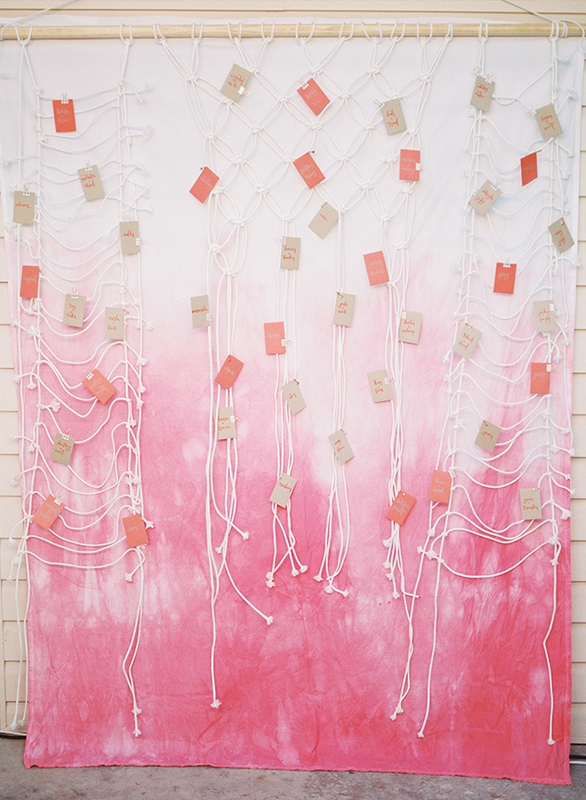 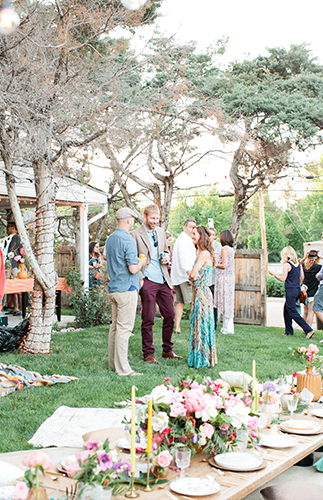 When Jessie Capstick, the owner and creative director of Tangerine Room Events, a boutique event design and planning company in Denver, Colorado turned 30, she decided the celebration needed to be one for the books. 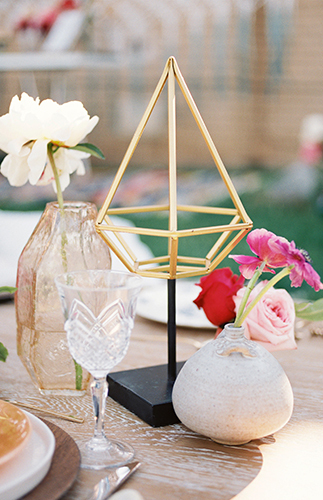 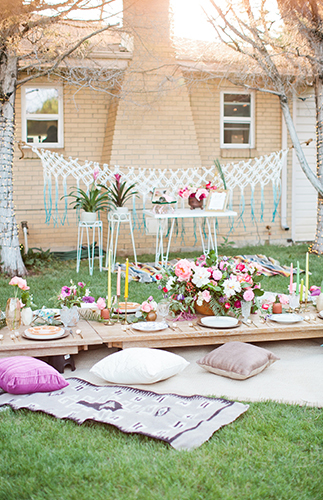 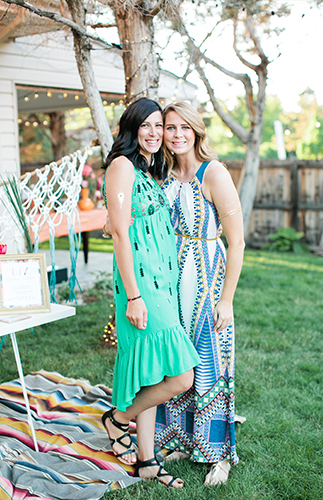 Jessie and her husband Brian wanted to treat their closest friends and family to a backyard boho bash under the stars! 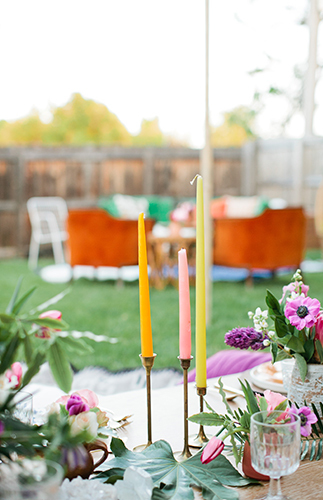 Jessie loves everything textured, colorful and inviting, and no three words could more perfectly describe this celebration. 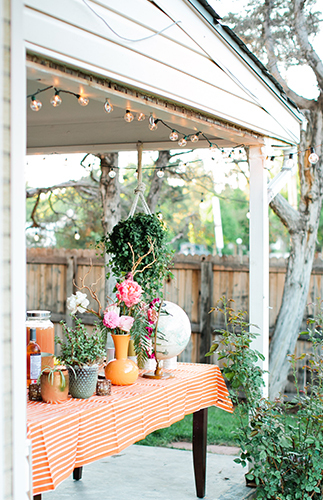 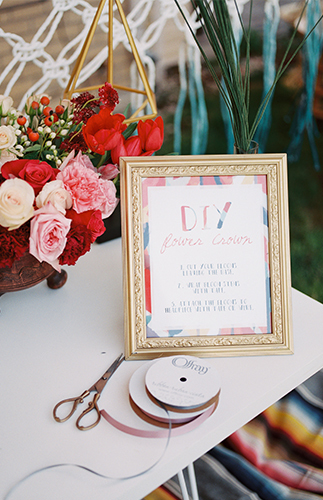 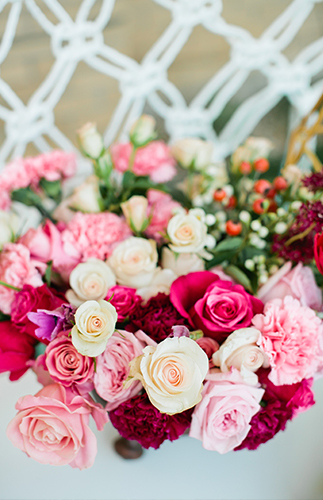 The inspiration all began with a DIY flower crown bar from Yonder House Floral and Decor. 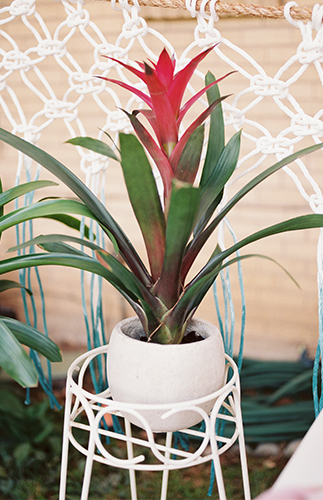 Jessie loves a good DIY project, but might love a flower crown even more. 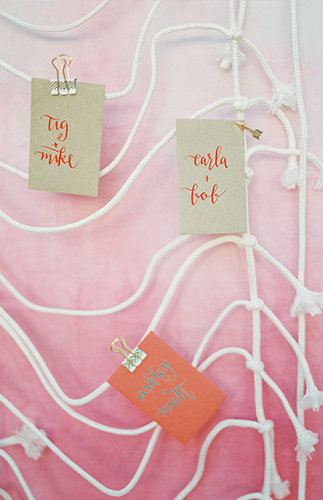 Custom paper goods were designed by Ella Vine Co. to set the tone, accompanied by tangerine calligraphy on kraft paper envelopes done by the birthday girl herself. 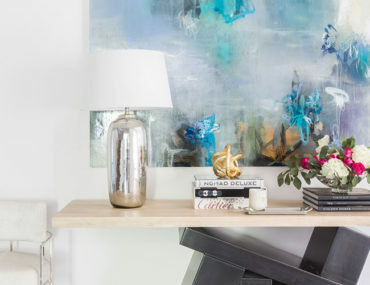 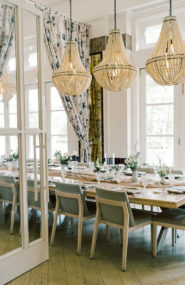 Together, Jessie and Gretchen Josten, the brains behind Yonder House, dreamed up the inspiration for the lounge areas, dining experience and completely yummy florals. 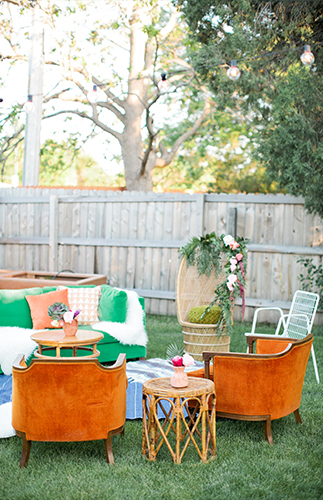 Callie Hobbs, of Callie Hobbs Photography perfectly captured every texture and detail of the design, as well as every intimate and love filled moment from the celebration. 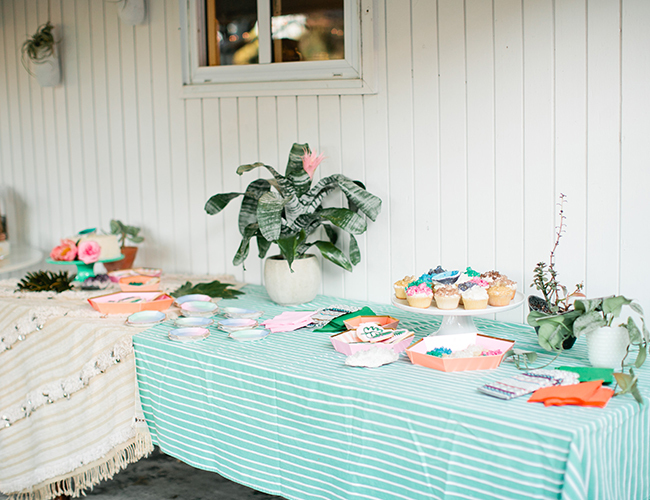 Guests pulled food tickets down from a macrame wall hanging and were treated by food truck to falafel, chicken shawarma, and truffle fries from Baba’s Falafel. 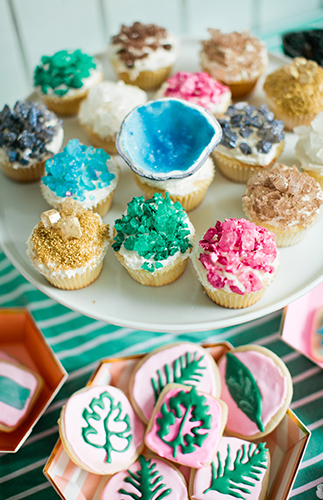 Baker Loves Cake created cakes and cupcakes topped with edible gems as delicious as they were beautiful, and custom sugar cookies to match the boho theme. 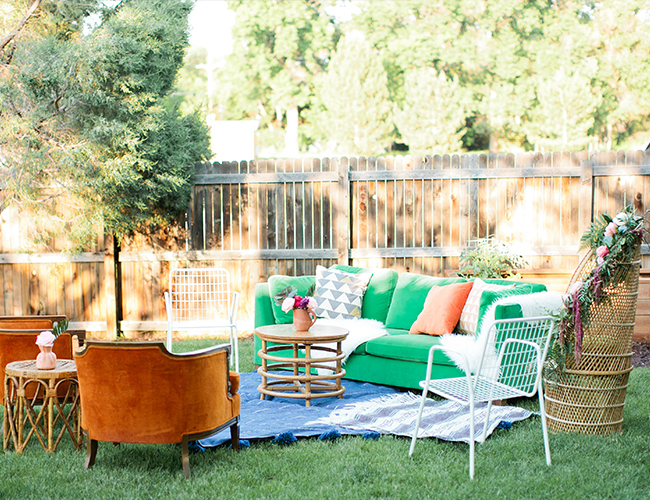 As a lover of all things vibrant and textured, Jessie pulled her green velvet sofa out to the backyard, where cozy and inviting lounges were set up for guests to gather with Salty Dog’s (Jessie’s favorite cocktail). 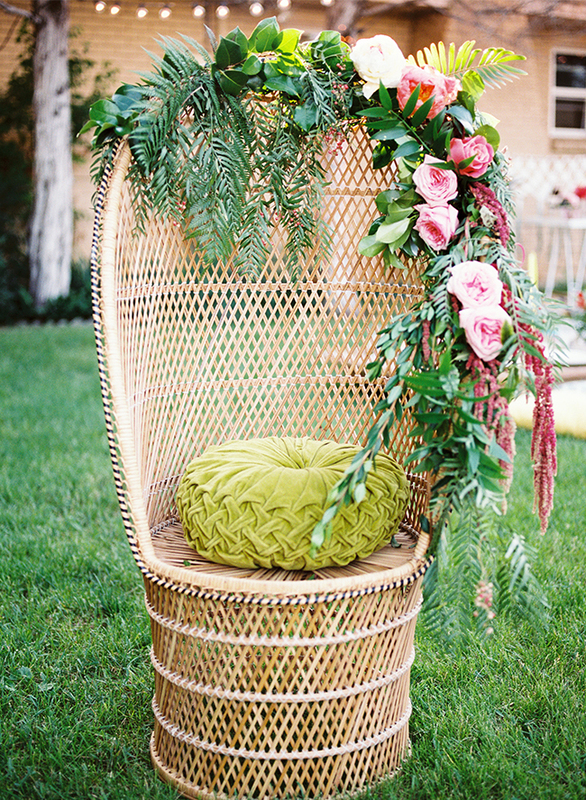 A peacock chair fully adorned in florals from Yonder House was the ultimate match for the green sofa and became the perfect spot for the guest of honor to open gifts and chat with girlfriends. 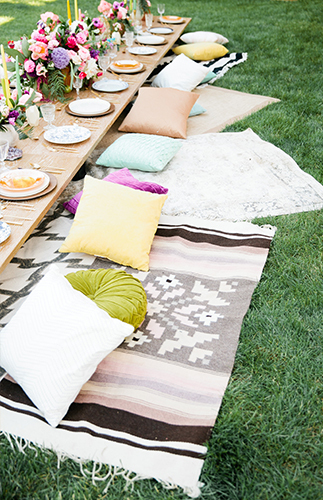 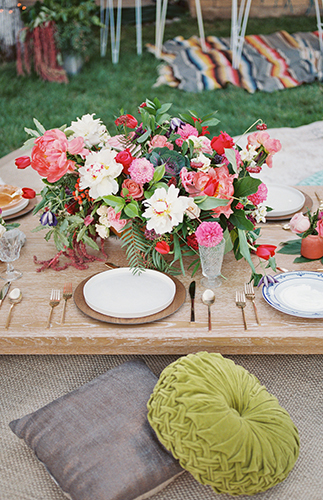 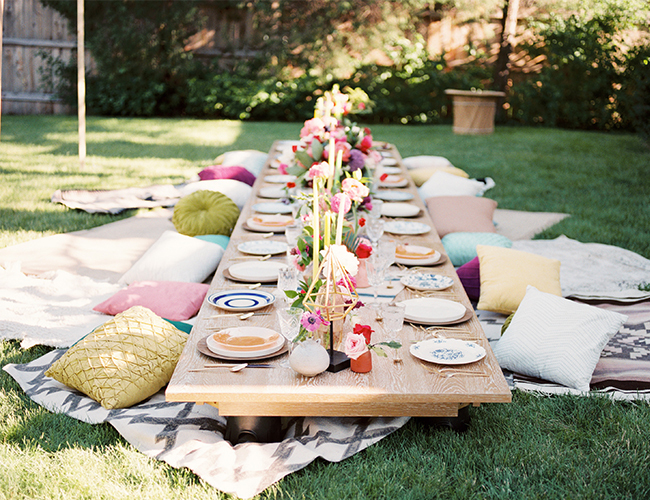 Farm tables surrounded with rugs, pillows and Moroccan blankets were set across the center of the yard with a mix of eclectic tableware provided by Yonder House and pulled right from Jessie’s cabinets. 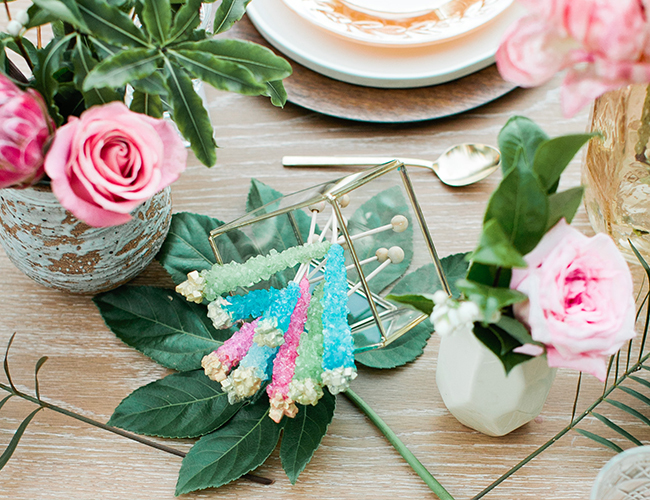 Gold flatware and candle sticks accompanied by candy colored taper candles and custom made rock candy added a dash of playfulness to the scene. 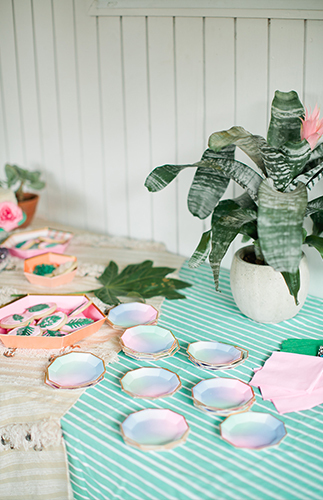 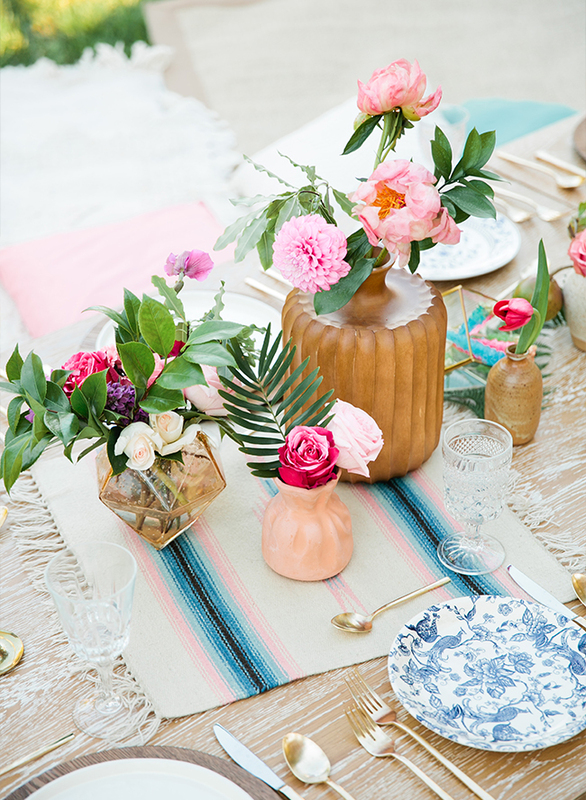 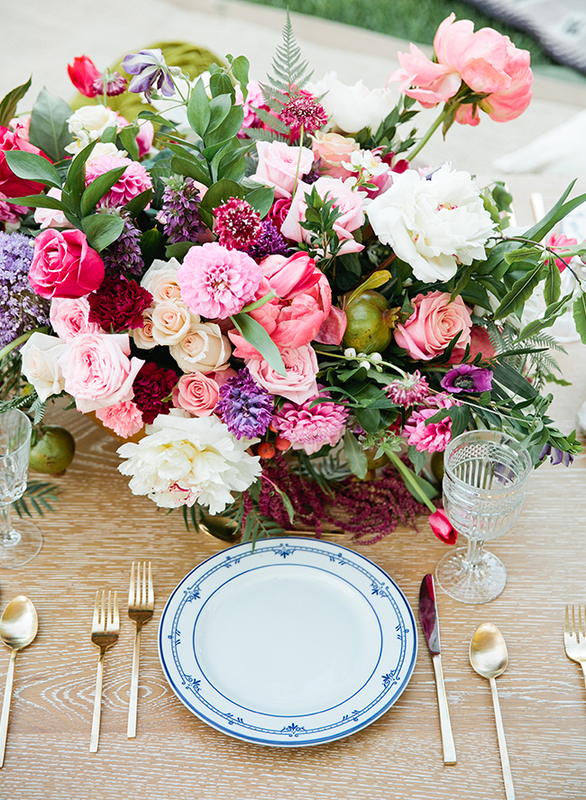 Table florals were inspired by palm leaves and vibrant hues, but were loose and romantic, adding to the boho experience. 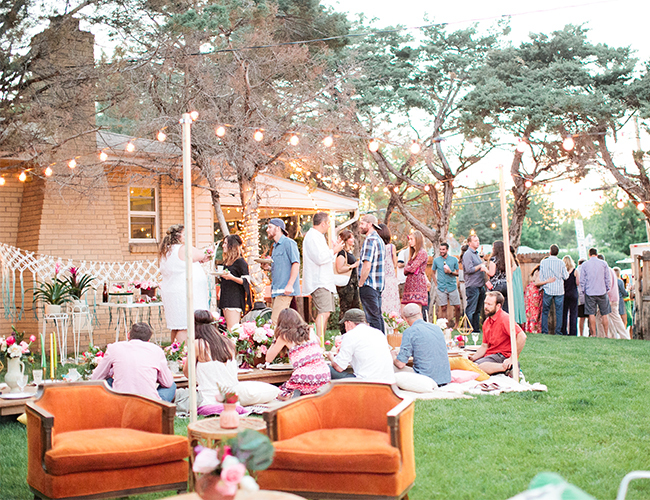 Cafe lights from Firefly Events were strung above guests heads for added coziness as the stars came out and guests danced to tunes provided by Jessie’s brother. 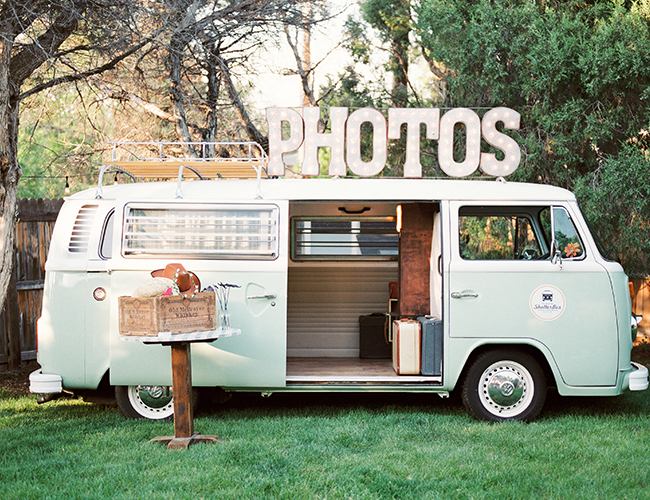 Perhaps the highlight of the night was the Shutterbus, a photo booth housed in a mint green VW bus that was pulled into the back yard for guests to enjoy. 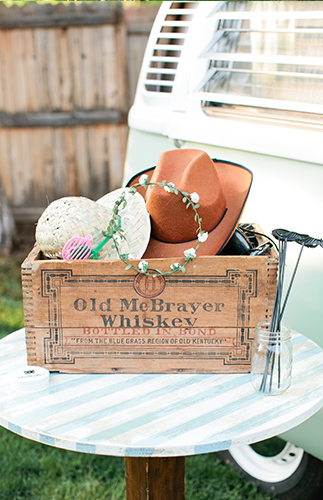 Jessie’s favorite photo strip from the night included a series of photos capturing her 85 year old grandpa trading his fedora for her flower crown! 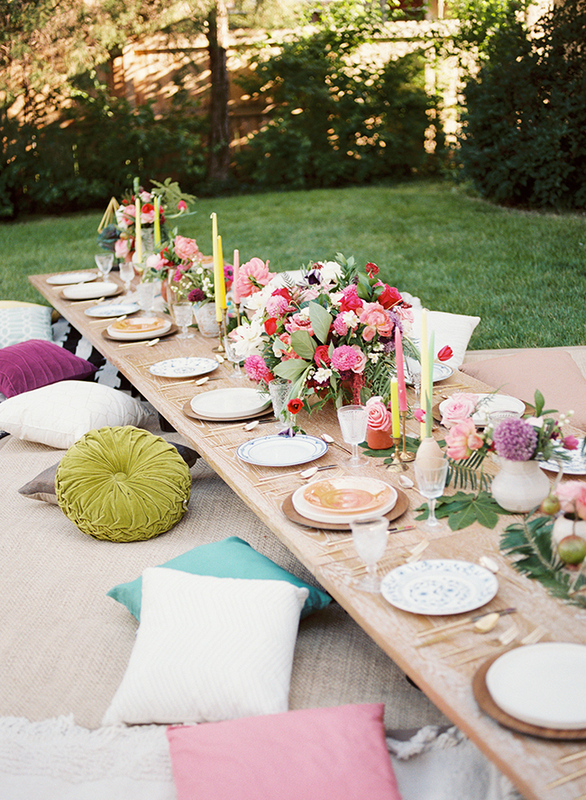 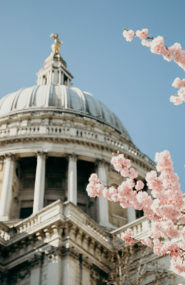 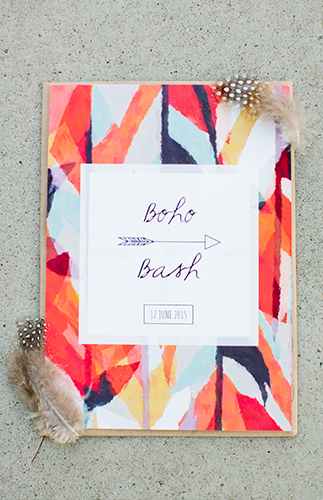 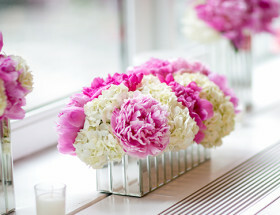 #boho themes are the new #pink! 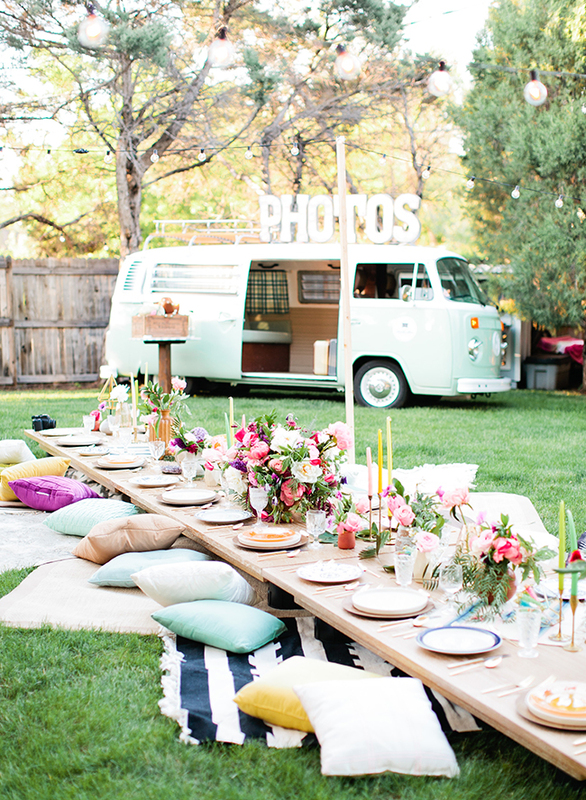 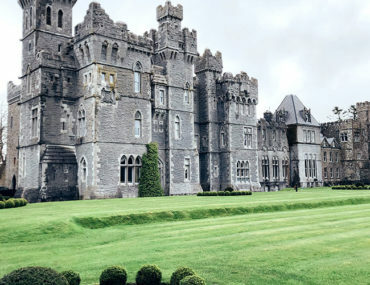 This looks like an incredible time – jealous!